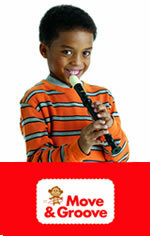 Did you know that music is a springboard for your child’s success in core subjects such as math, science and literacy? Through the award-winning ABC Music & Me™ curriculum, FasTrack® Music supports your child’s learning, moving and growing in a creative and fun way. Our methodology enhances brain development and encourages creativity and confidence while inspiring imagination and musical curiosity. Our independent research shows that children enrolled in FasTrack Music made significantly larger gains in language and literacy skills compared to their peers not enrolled in the program. We offer four levels of FasTrack Music , each one designed to be appropriate for your child’s age, development and learning style. In each music class, we focus on activities to increase your child’s progress in social, emotional, cognitive, language, literacy and physical learning while having fun! 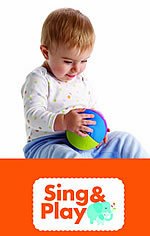 Our Sing and Play program was developed for our youngest learners. It provides a sensory rich environment, complete with music, movement and fun, to create and strengthen your baby’s neural pathways. Each FasTrack Music Sing and Play class creates special bonding moments between parent and child as well as beginning to instill a lifelong love of music. Call your local center to enroll your child today. Our Wiggle and Grow class gives busy toddlers a chance to explore and discover, to initiate their own ideas, and to respond in their own ways. 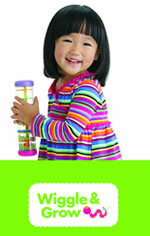 Your active participation provides the security your child needs. As you play instruments, sing, and dance, you’ll uncover an engaging musical world while building your toddler’s confidence, self-control, and early language skills. Call your local center to enroll your child today. Preschoolers thrive on pretend play so our Move and Groove classes include songs, stories, and instrument ensembles to nurture your child’s budding creativity. Bonus: it’s fun! 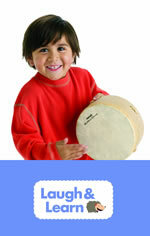 With cognitive, emotional, and social benefits, a FasTrack Music class is the perfect place for your preschooler. Call your local center to enroll your child today. Children who continue with the FasTrack Music class into early school age will develop a greater capacity for learning and a lifelong love of music. In FasTrack Music class, your budding musician will be introduced to fundamental musical concepts, notation, and the basics of vocal development, establishing a great foundation for any music lessons your child might take in the future. Children explore a wide variety of musical styles and the instruments of the orchestra through group ensemble play, music, games, and stories from many cultures. These classes are a musical learning experience that set the stage for future success. Call your local center to enroll your child today. Music gives your child a strong foundation for learning. Call your local center for availability.